Joss Whedon’s modern take on a Shakespearian play starring everyone from Nathan Fillion and Sean Maher to Clark Gregg and Amy Acker. If that doesn’t intrigue you, you haven’t been paying attention. 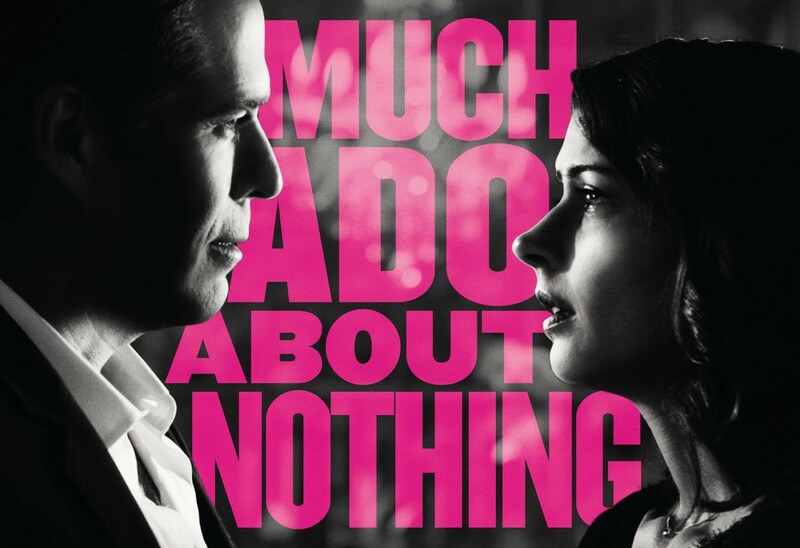 UPDATE: Read Ari’s review of Much Ado About Nothing here. The Bourne series is probably my favorite modern action series ever. It’s incredibly well shot, acted, and executed from beginning to end. When I heard the series was continuing, this time without Matt Damon in the title role, I was nervous. However, three things have allayed my fears: the fact that Jeremy Renner is the new protagonist, the story is a parallel one to that of Jason Bourne about another operative, and the fact that much of the original cast are reprising their roles – those who aren’t just simply aren’t in the film, and neither are their characters (as far as we know). Plus, Ed Norton is in it. As a villain. 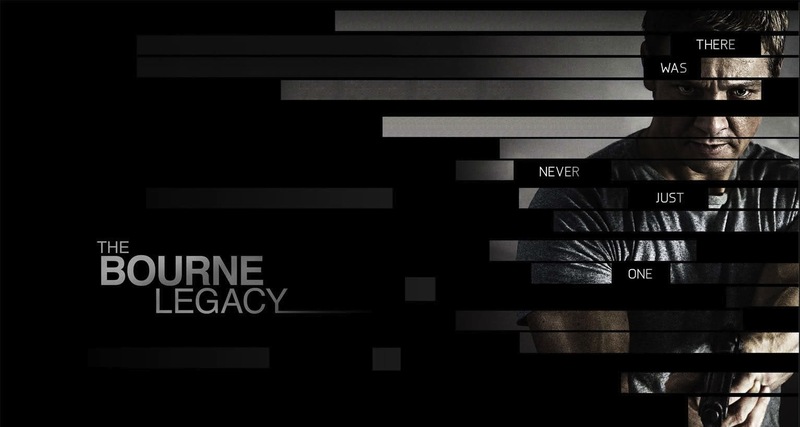 UPDATE: Read and listen to our Dueling Review of The Bourne Legacy here. I know even less about this Alien prequel from Ridley Scott. In fact, most people don’t know much of anything about it. What I do know, however, is that Ridley Scott is directing and that the initial footage screenings have left an indelible impact on those who were lucky enough to see them. I’m perhaps more curious than excited about this one, but I have faith that the unique style of the film will be enough to carry it for me. UPDATE: Read and listen to our Dueling Review of Prometheus here. The Lorax, on the other hand, is the third effort from newcomer animation studio, Illumination Entertainment (of Despicable Me fame). 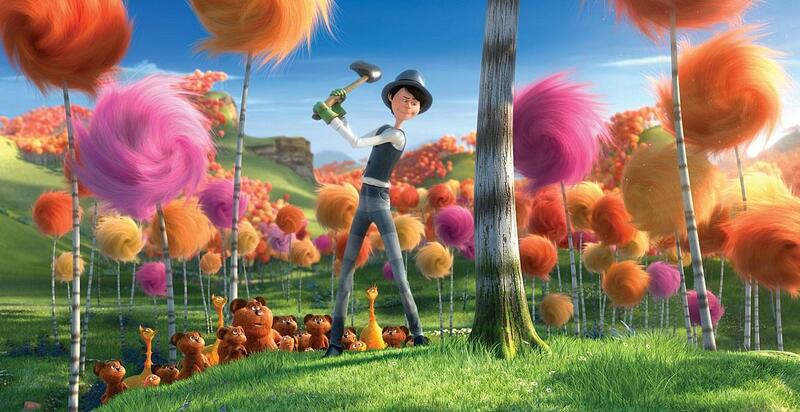 Starring Danny Devito as The Lorax and Ed Helms as The Once-ler, the trailer has gotten me very excited for the film. The artwork was captured and rendered beautifully from Dr. Seuss’s original illustrations, and the humor all struck a chord with me. I’m still curious to see how all of the additional story will fit into the film, seeing as to stretch a simple picture book into a feature-length movie you must add a substantial amount of content, but I have faith that it’ll all work out. Brave is Pixar’s first original IP (read, non-sequel) since Up, and looks to be pushing the boundaries once again of what 3D animated films can achieve on a technical level. It looks beautiful, invokes a feeling of mystery, wonder, and magic, and though we don’t know much about the story, I’m confident that Pixar won’t disappoint. 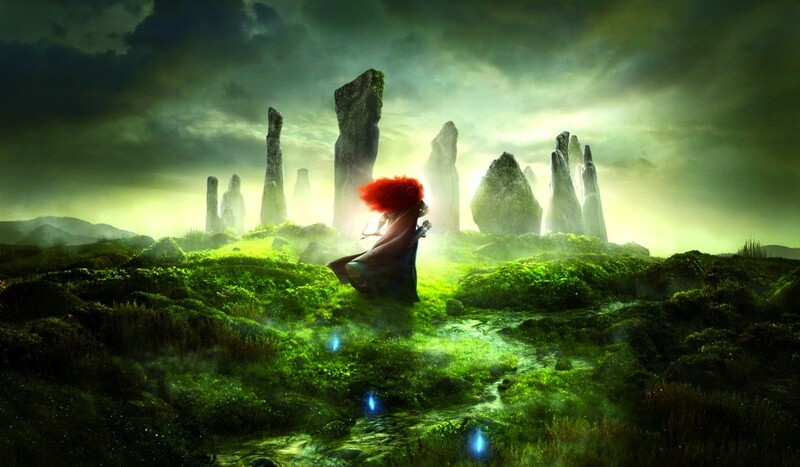 Plus, it takes place in ancient Scotland – who doesn’t love the a good motion Pict-ure? UPDATE: Read Mike’s review of Brave here.